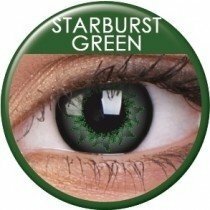 Starburst Series Coloured Contact Lenses will brighten up your day, due to their unique and unusual design, which features a gorgeous starburst effects, that opens up the eye area. 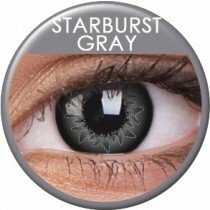 The starburst pattern is striking and will draw attention to your eyes. Perfect for whenever you want to make a statement! With the high end terpolymer material used, the lenses are exceptionally comfortable to wear, and with its new diameter of 15mm, these lenses will give the ultimate big eye effect! 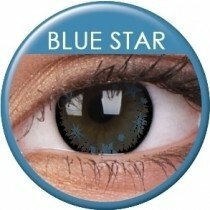 These lenses, as do all our contact lenses, come with a free bottle of lens cleaning solution, and a free storage case too.